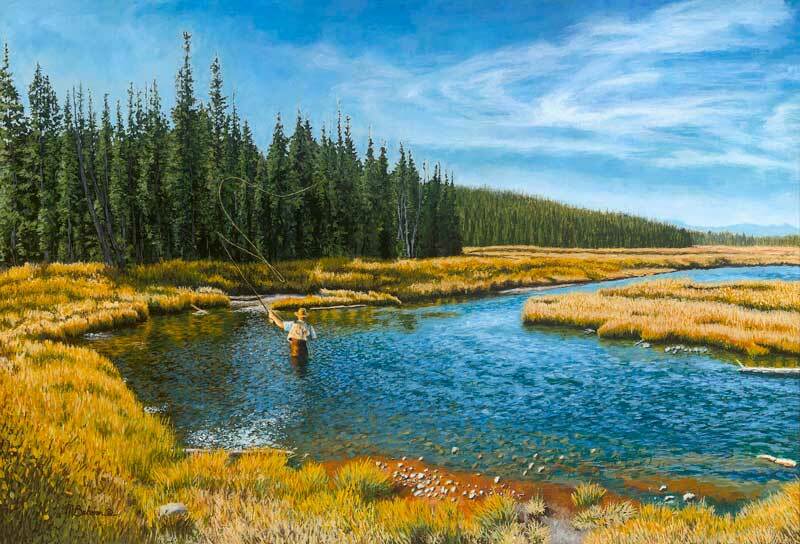 Mark Behmer specializes in original oil paintings of the outdoor sporting experience. Mark started drawing at a young age. He grew up in Detroit, Michigan and after graduating from high school in the late 60s he enrolled in a commercial art program at Oakland Community College. After a semester in taking the core design classes he became increasing interested in the painting, drawing and fine art classes he needed to take. He transferred to Northern Michigan University as a fine art major for a year, transferred again to the Art School of the Detroit Society of Arts & Crafts (Now the College for Creative Studies, CCS) in Detroit. After pursuing studies in graphic and advertising design he decided to change his major and get his degree in art education. In 1972 Mark moved to Chicago and in 1975 graduated from the University of Illinois at Chicago with a BA in art education. Even at that time art was beginning to be cut from school programs, so after spending 2 years substitute teaching and trying to find a job he went into commercial art and became an illustrator/graphic designer. He built his own freelance business and worked successfully for years, but always felt that painting and fine art was where he really belonged. In 2008 and 2009 Mark joined two local art guilds in northern Michigan, the East Shore Artist Guild and the North Eastern Michigan Artist Guild, and entered local art shows in the area, as well as other art shows since then in Michigan, the Chicago area and northern Wisconsin. He was Honorable Mention Award Winner in the 2009 Juried Art Exhibition at the Besser Museum for Northeast Michigan in Alpena, Michigan. 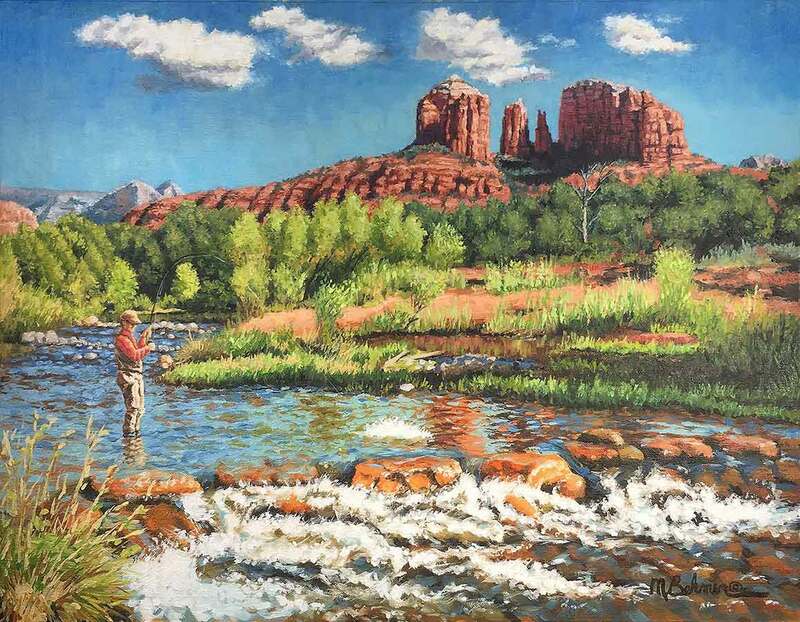 He has exhibited in the East Shore Art Guild Gallery in Harrisville, Michigan and in 2010-2011 in Mullaly’s 128 Studio & Gallery in Elk Rapids, Michigan. 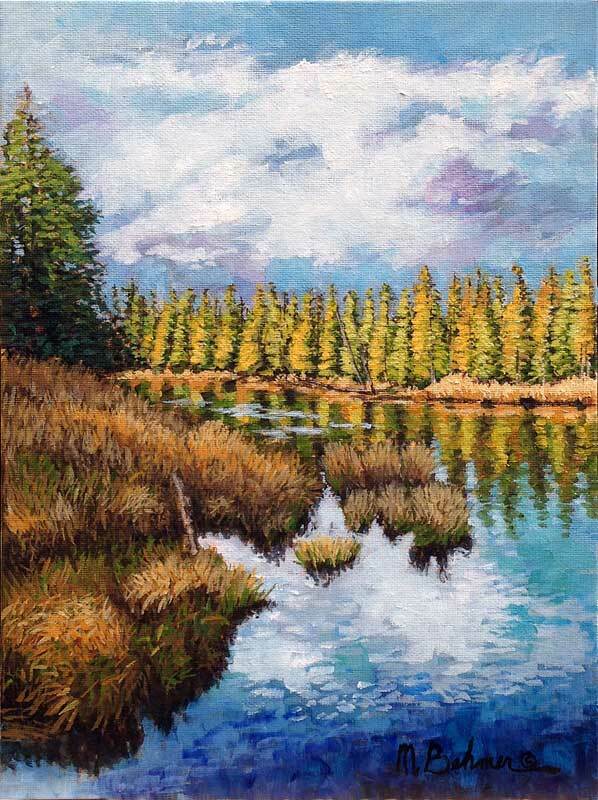 In Summer 2014 He exhibited in the SummerView Show in Art In The Loft Gallery 109 in Alpena, Michigan. Having grown up in Michigan the love for the outdoors came natural to Mark. 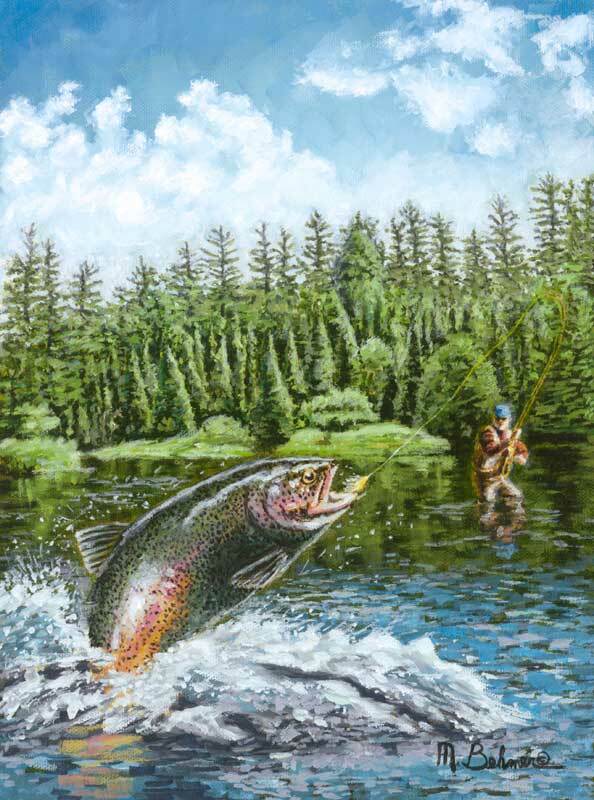 As a dedicated conservationist and avid fisherman and sportsman he merges his passion for the outdoors into every facet of his life and his art. 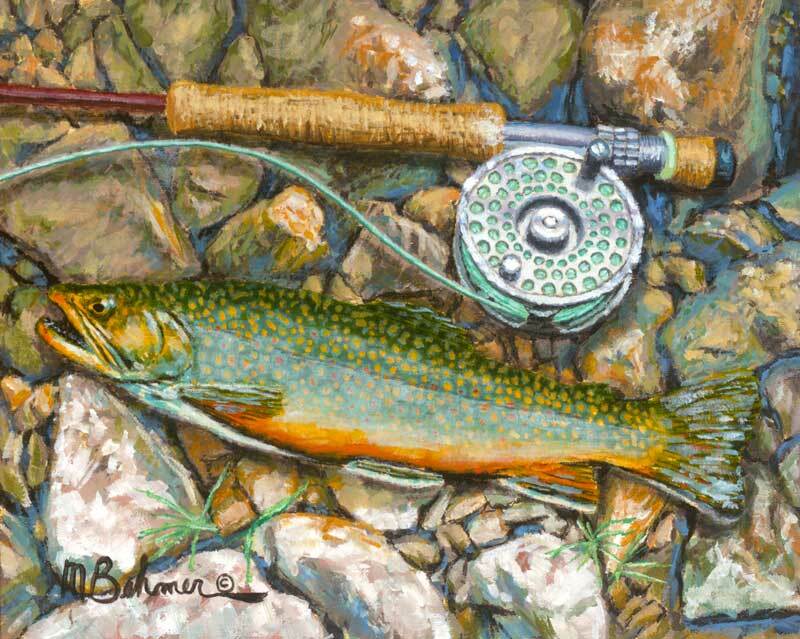 He is a member of local chapters of Trout Unlimited, Ducks Unlimited and Pheasants Forever and has been commissioned to paint portraits for Pheasants Forever chapter fundraising auctions. 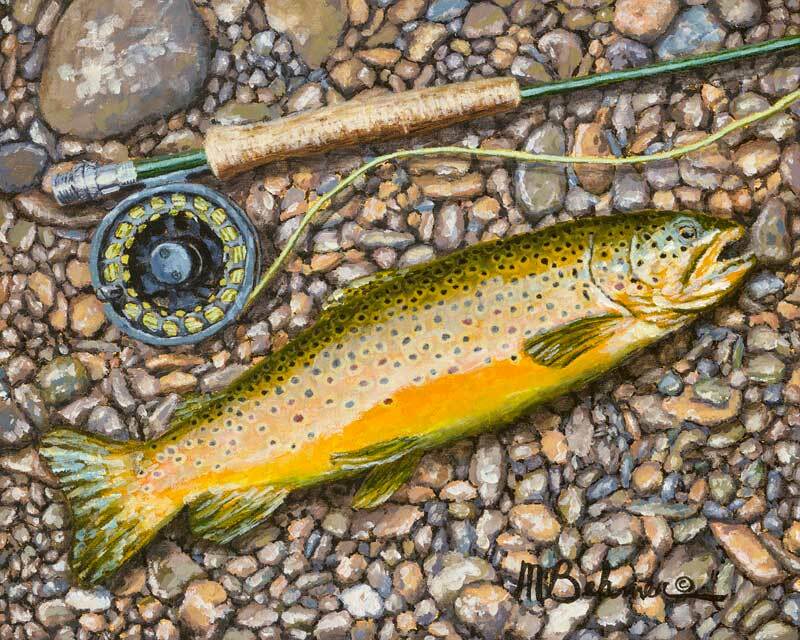 In addition he has contributed limited edition framed prints to DU and TU fundraiser auctions. 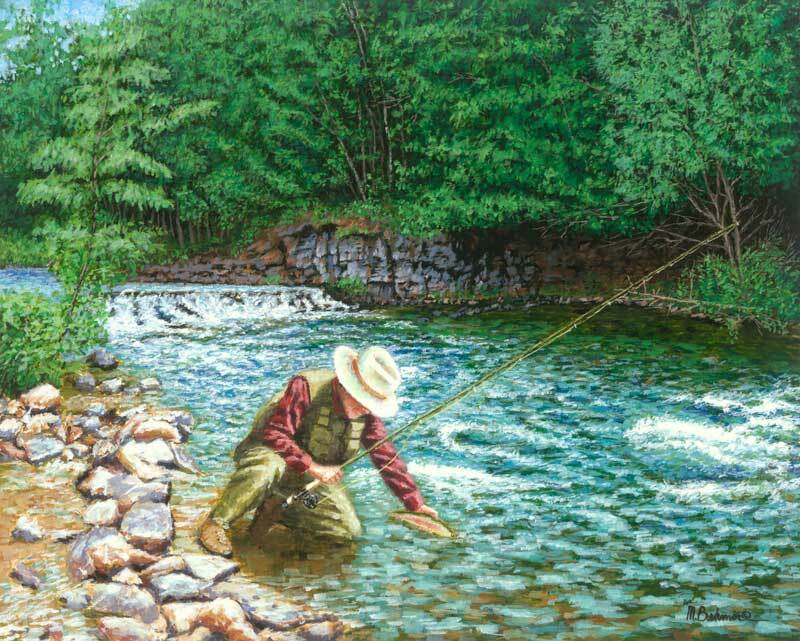 Marks paintings have been described as painterly impressionistic realism. 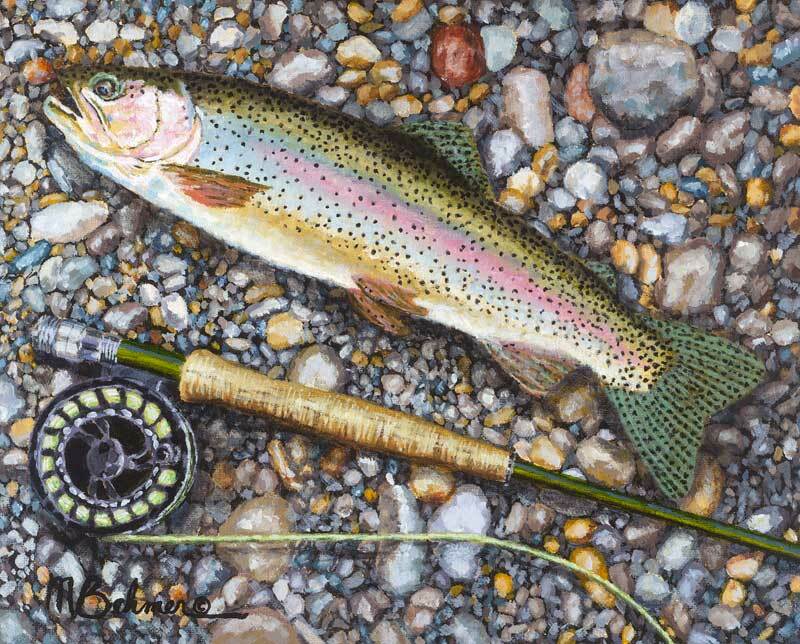 He paints in oils on gessoed linen on gator board.